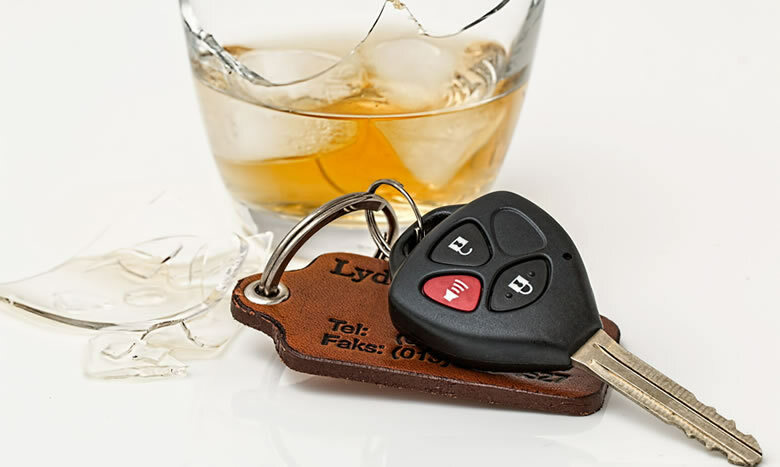 DUI, or driving under the influence, is a criminal offense in Florida and one that carries mandatory minimum penalties that can be severe and life-changing, that is why is so important to have a DUI defense attorney on your side. Under Florida Law a person is guilty of DUI if he or she drives, or is in actual physical control of a motor vehicle, and is under the influence of alcoholic beverages or any chemical or controlled substance to the extent that his or her mental or physical faculties are impaired or when his or her blood alcohol level (BAC) is above the legal limit for the state. This includes alcoholic beverages of any kind, illegal narcotics, prescription drugs or even over the counter medicines. If you are charged with DUI in Orlando, Central Florida or in any other place in Florida, your driver's license will be immediately suspended and a citation will be issued. The severity of each of these penalties depends on specific circumstances, the degree of your DUI offense and the existence of previous DUI convictions. Felony DUI charges carry more severe penalties than misdemeanor DUIs. Were the blood or breath test results accurate? Were the breath test results compromised in any way? Were field sobriety tests performed according to protocol? Did the arresting officer have probable cause to pull over the vehicle? Did the arresting officer report all details accurately? Was the defendant exhibiting impaired driving? Were the defendant's constitutional rights violated? It is very important for you to be aware of Florida’s “Ten Day Rule”. This rule states that if you are suspected of driving under the influence and refuse to take a blood, breath or urine test after being arrested for DUI, or your breath test was .08% blood-alcohol or above, you have only a 10 day period from the date of the arrest to request in writing a Formal Review Hearing with the Florida DMV. During this 10 day period you are allowed to drive using your citation as a driving permit. If you fail to file for this hearing you will miss the opportunity to challenge the administrative suspension of your driver license and won’t be able to drive after the tenth day. If you file a demand for a Formal Review Hearing and you are eligible, a temporary license will be issued. This temporary license becomes effective when the ten day permit expires and would allow you to continue driving for business purposes until seven days after the Formal Review Hearing, normally giving you a period of 30-45 days to continue driving. The Formal Review Hearing (which is an administrative hearing as opposed to a criminal trial which occurs later) resulting from the DUI charges must be scheduled no later than thirty (30) days after the demand is filed and will be held before a hearing officer employed by the Department of Highway and Safety Motor Vehicles (DHSMV). During the hearing the existing evidence will be presented with the intention to uphold the administrative suspension of your driver license. If you are represented by a DUI defense attorney during the hearing, she or he will have the opportunity to present arguments and cross examine the police officer who made the arrest and the witnesses, if there are any. Usually after a couple of days of the hearing, the officer will decide if the suspension of your driver’s license is upheld or invalidated. If the suspension is upheld your driver's license will remain suspended for either six months (if the driver blew over a .08), or a year (if the driver refused to blow into the machine). If your driver’s license suspension is upheld, you might be eligible to apply for a hardship license, which could result in only a hard suspension of 30 days for blowing over the limit, and one for 90 days for a refusal. The Formal Review Hearing with the DHSMV is completely separate from the criminal case. If you are later on convicted of DUI by a criminal court, a mandatory suspension of your driver’s license will begin on the date of your conviction and your hardship driver's license, if any, will be seized. DUI cases can be complicated and their consequences long lasting. Central Florida DUI Attorney Jack Kaleita has extensive experience and the required knowledge of the criminal justice system to fight them back. DUI cases more than most affect one’s ability to keep one’s employment since most people need to drive to get to and from work. That makes it essential to have an attorney help you navigate through the complicated administrative and criminal minefield of this offense. Our firm will attack the evidence being used through pretrial Motions to Suppress, which oftentimes can result in the charges being dropped. If a jury trial is needed, we are very experienced in handling DUI trials, and will do everything we can to obtain an acquittal at trial. If you or someone you know faces Driving Under the Influence charges in Orlando or in any other place in Central Florida, contact DUI Attorney Jack A. Kaleita in Orlando at (407) 831-7800 or send us an email us at info@jack@jackklaw.com. We are available 24 hours and will contact you as soon as possible. We offer a free initial consultation and will keep your information under the strictest confidentiality.